How cool is this! Thanks to Chris and Al working at UT, and Chris pulling some strings (I think) we had access to the stadium and had it all to ourselves. I'll tell you that was one of the coolest photo shoots I've ever done! 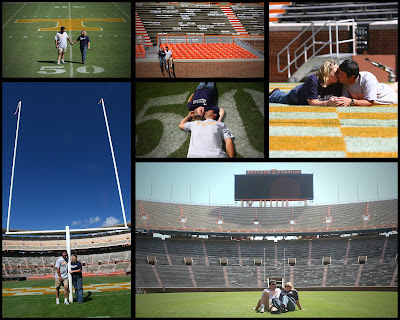 This was my first time being at Neyland Stadium and to walk around with such a great couple was wonderful. Thanks again!